As you may have noticed this year, I’ve been posting a lot of mango recipes. Mangoes are seemingly easier and cheaper to get on the West Coast, and available for a longer period of time than in Chicago where we used to live. We’ve been drinking a lot of agua de mango this year because I can’t resist buying mangoes almost every week. 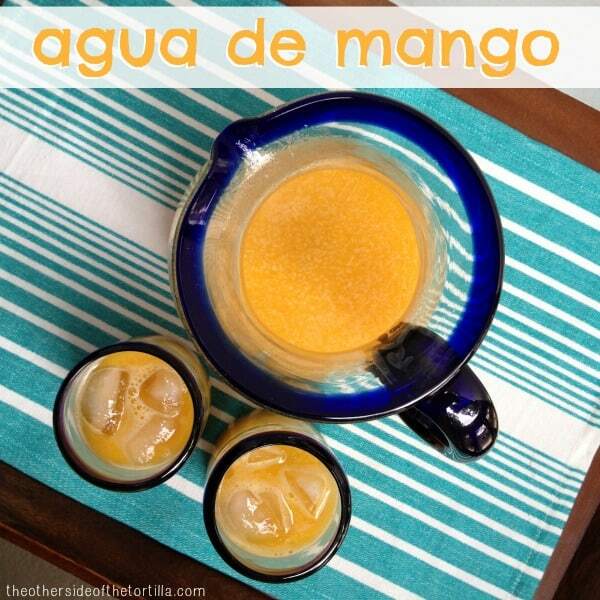 This recipe calls for Ataulfo mangoes, which are a yellow variety known for being sweet. Close substitutes or other names for this kind of mango can include Manila mangoes, honey mangoes or champagne mangoes. Ataulfo mangoes are in peak season between March and June, but can often be found in stores all the way through December depending on the part of the country where you live. Leave the mangoes out on the counter at room temperature for a few days if they’re firm at the time you buy them. You’ll know they’re ripe and ready to use when the skin gives a little when you press it and/or the skin starts to wrinkle slightly. If the skin is already wrinkled when you buy them, they’re ready to use immediately. This variety of mango is less fibrous than the Tommy Atkins (green with red blush) variety, and therefore is more ideal for making aguas frescas. 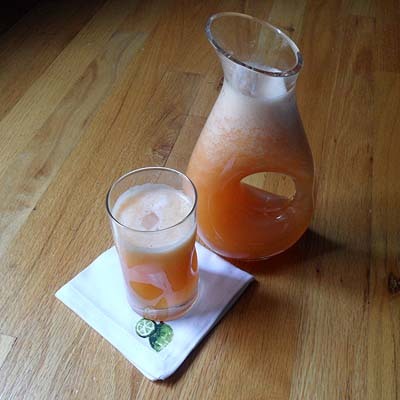 If you like this recipe, you may also like my agua de fresa y mango recipe (strawberry and mango)…. 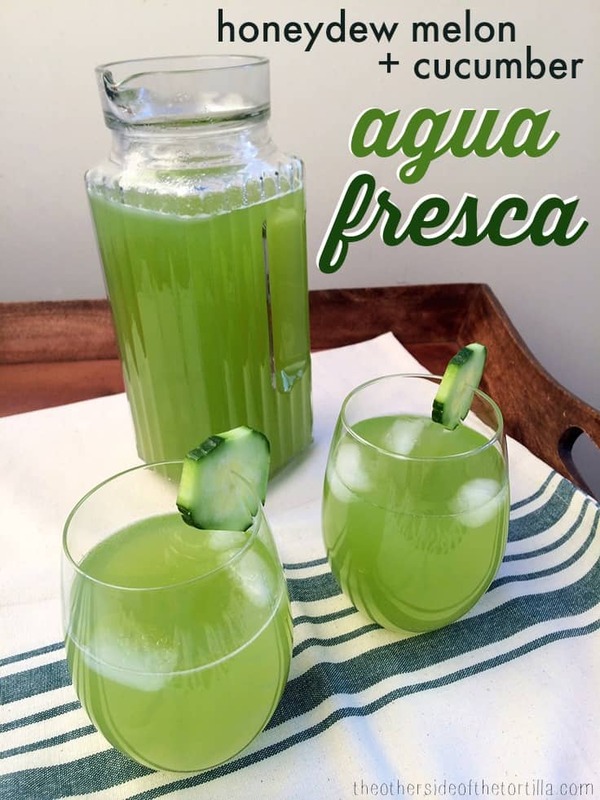 As the weather starts to get warmer, I’ve gotten an itch for making aguas frescas. This happens to me just about every year. Toward the end of the winter, I always seem to fall into a rut in the kitchen as I wait for spring to arrive. And like clockwork, as soon as we get our first day of warm weather, I head to the store looking for fresh fruits to make aguas frescas. This year was no exception, and the first fruit I spotted was a large bag of mandarinas, mandarin oranges. I love mandarin oranges both because of the refreshing, sweet juice they produce and their portability as a vitamin-packed snack. In fact, I’ve been carrying two mandarin oranges my purse at all times for the last few weeks so that I always have a healthy snack at the ready. But I’ve also got some cherished memories of the early days of hanging out with my cuñada, when she used to take me out for aguas frescas and where we almost always ended up with agua de mandarina, one of her favorites—and consequently, now, one of my favorites too. This is an incredibly simple recipe, but one I’ve been asked for time and again by friends. It’s perfect for serving with any meal, and any gathering—large or small. 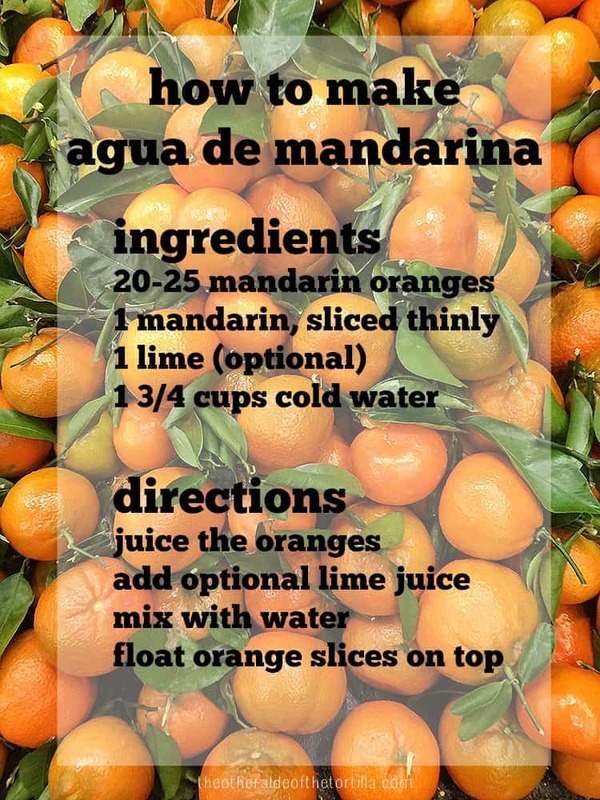 A few notes: my husband likes his agua de mandarina to be a little sweeter, but I prefer mine to be more natural and without sugar. My advice: try it without sugar first and perhaps leave out the lime juice. If you feel like it’s not sweet enough for your liking, you can mix about 2 tablespoons of sugar with 1/4 cup of warm water to get it to dissolve, and then mix it with the remaining 1-1/2 cups of cold water. 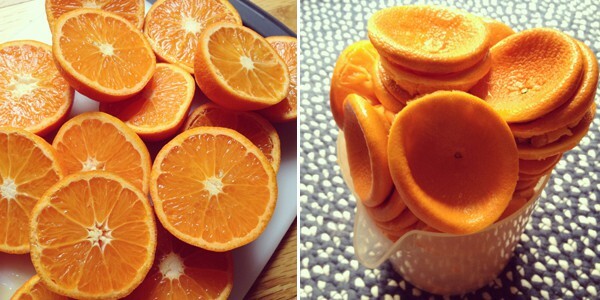 I also like to use a handheld citrus press for this recipe because I found that my electric juicer doesn’t always extract all the juice due to the small size of the mandarin oranges. 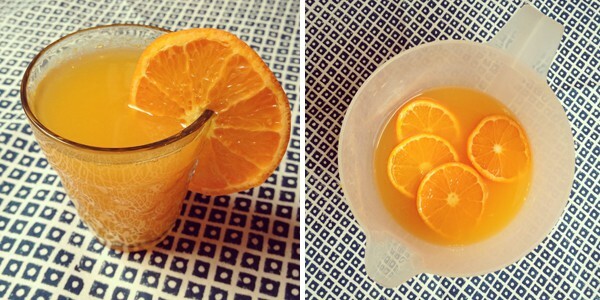 Use mandarin oranges to make a classic agua fresca: agua de mandarina! If you want to add the optional lime juice or any sugar, add it before you mix the mandarin orange juice with the cold water. Stir to mix well in a pitcher. 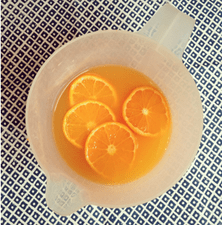 Add thin mandarin orange slices to float on the top of the pitcher. 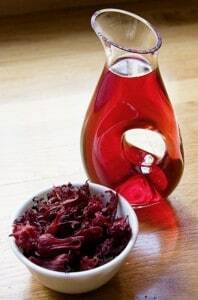 If you don't serve it immediately, chill in the refrigerator and then stir before serving, as juice will naturally settle. Consume within 2-3 days. I can’t tell you how many times I’ve been asked for an horchata recipe since I began blogging. But each time I start explaining how to make it from scratch, I can see people start to lose interest around the time I mention that making horchata from scratch involves soaking rice and cinnamon sticks overnight and then grinding it and straining it. When I make it from scratch I sometimes also blanche almonds and soak them with the rice for an added depth of flavor. But the average person asking for a recipe always seems to get a frown on their face when they realize making it from scratch takes a little extra time and effort. It was because of this dilemma of nobody wanting to take the time to soak and grind the rice that I began experimenting in the test kitchen to try to make an acceptable quick recipe substitute for those times when we just need a quick fix of a tall, cool glass of horchata. This is the simplest recipe I came up with that passed the taste test with family and friends. 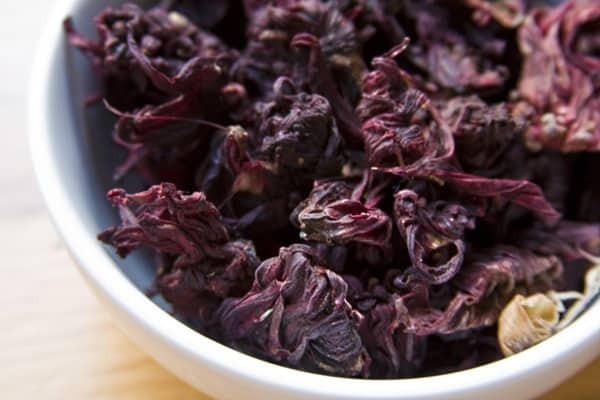 It beats any powdered or pre-made liquid mix I’ve tried from a variety of grocery stores. The store-bought mixes always taste either too sweet or too fake to me. I hope you enjoy this version if you’re looking for a quick but yummy horchata recipe! 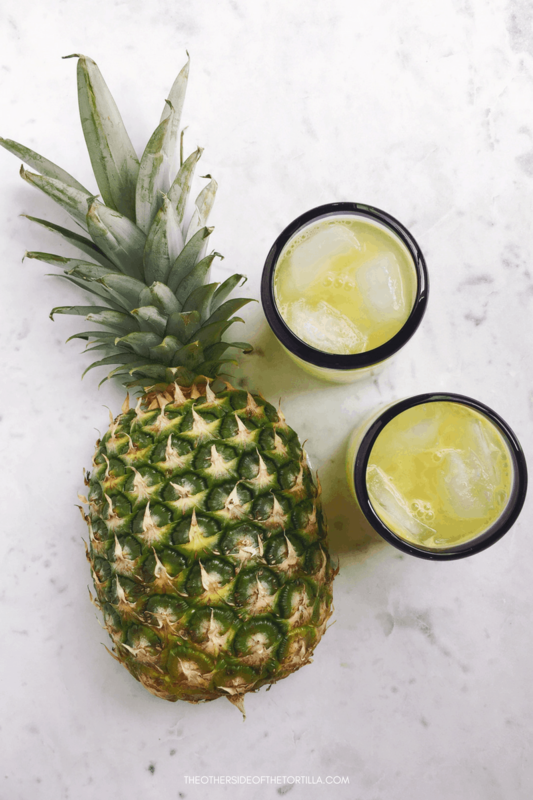 Agua de piña is a very popular agua fresca served all over Mexico, and made from just a few ingredients.